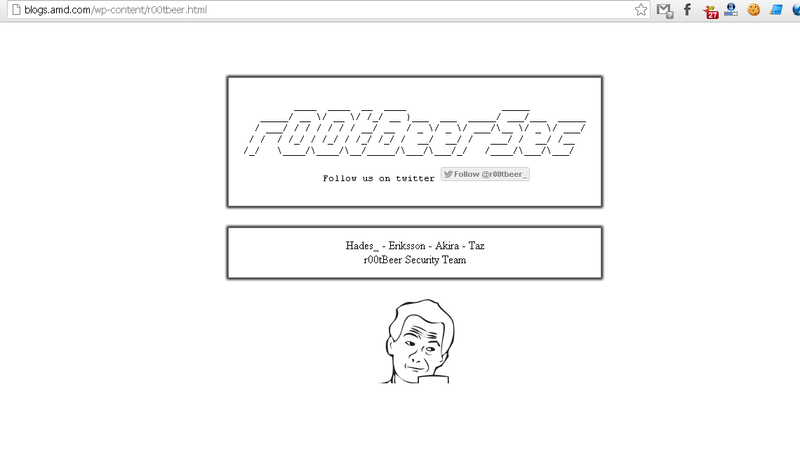 Hacker deface the blog page and also leak the complete user database of blog on his twitter account. Leaked database SQL file uploaded on Mediafire by Hackers which include 200 AMD user's Emails, Wordpress Blog Usernames and Passwords. During the time of writing, I think AMD is not aware about that they are the Victim of a Hack attack. We are tweeting to the AMD team for informing them.